The Dow Jones news today features the Federal Open Market Committee (FOMC) meeting this afternoon, news that the Caixin China Producers Manufacturing Index fell to a seven-month low, and an earnings report from Apple Inc. (Nasdaq: AAPL). 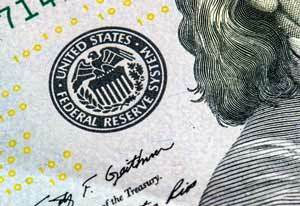 Dow Jones futures projected an 11-point decline ahead of the FOMC's two-day meeting on monetary policy. The central bank is not expected to hike interest rates in May, but markets will eye any discussion about potential rate hikes later this year. According to the CME Group's FedWatch Tool, the probability of a rate hike in May sits at just 4.8%. Elsewhere in Washington, D.C., investors will be watching the House Financial Services Committee, which is set to mark up its replacement bill for the Affordable Care Act. But the real news in Washington are the rumors President Trump is considering plans to break up the "Too Big to Fail" banks and create a modern day Glass-Steagall Act. Trending: Should I Open a Bitcoin IRA? While the Fed will be the center of focus today, analysts will also be focusing on the quarterly earnings report from technology giant Apple Inc. (Nasdaq: AAPL). Wall Street analysts project Apple will report earnings per share (EPS) of $2.01 on top of $52.614 billion in revenue. Such results would represent its second consecutive quarter of revenue growth. Analysts are expecting the firm to announce strong sales of its iPhone 7 Plus, a dividend hike and a stock buyback program. According to Kelley Blue Book analysts, it could be a long day for automotive stocks. Domestic manufacturers release the sales results for April throughout the day. Analysts are predicting a 3% decline in April. Shares of Ford Motor Co. (NYSE: F), General Motors Co. (NYSE: GM), and Fiat Chrysler Automobiles NV (NYSE: FCAU) will lead the conversation throughout the day. The decline of crude oil prices since 2015 has taken its toll on global energy companies. This morning, BP Plc. 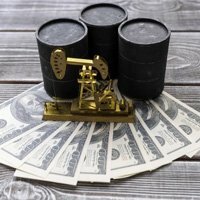 (NYSE ADR: BP) topped Wall Street profit expectations in the first quarter thanks to the firm's ongoing cuts to capital expenditures over the last year. But crude prices could sour even further in the months ahead as concerns about a global glut and weakening demand weigh on the commodity. The WTI crude oil price today was sliding thanks to news that Libyan oil production hit its highest levels since 2004. Shares of Advanced Micro Devices Inc. (Nasdaq: AMD) plunged more than 11% in pre-market hours after the semiconductor company reported a weak quarter of profits and revenue. Although the company topped Wall Street expectations, its EPS fell $0.04 on top of $984 million in revenue. United Continental Holdings Inc. (NYSE: UAL) is facing more scrutiny in the wake of several public relations problems hitting the airline. Company CEO Oscar Munoz will testify before a congressional panel today about ways the aviation industry can improve the flying experience for customers. Congress has stepped up criticism of the travel industry after United forcibly removed a passenger to make room for crew members. The U.S. Senate will host a similar panel. UAL stock was flat in pre-market hours. One stock investors need to keep an eye on today is Gilead Sciences Inc. (Nasdaq: GILD), which will report earnings after the bell. The pharmaceutical giant is a company that has a string of powerful drugs in its pipeline, making it an attractive investment at its beaten down levels. GILD is one of the top pharmaceutical stocks to watch. But it's not the best pharma stock to buy right now. Money Morning Director of Technology & Venture Capital Research Michael A. Robinson offers his favorite pharma stock for May, right here. Shares of Mastercard Inc. (NYSE: MA) are ticking higher as the company prepares to report fiscal fourth-quarter earnings before the bell Tuesday. Wall Street anticipates that the credit giant will report EPS of $0.94 on top of $2.64 billion in revenue. Look for additional earnings reports from Pfizer Inc. (NYSE: PFE), CVS Caremark Corp. (NYSE: CVS), First Solar Inc. (Nasdaq: FSLR), FireEye Inc. (Nasdaq: FEYE), Coach Inc. (NYSE: COH), Merck & Co. Inc. (NYSE: MRK), and Mylan NV (Nasdaq: MYL).